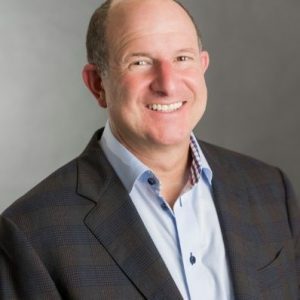 Acquisio elected a new board member David Lebow, former CRO of Yellow Pages, strengthening its profile as global leaders in marketing technology solutions for local businesses. David credits Acquisio’s success in data science advances for his decision to join the board. Most recently, David was Chief Revenue Officer with local marketing pioneers Yellow Pages, leading more than 3,000 salespeople and achieving revenue performance over $2 billion dollars. Yellow Pages is one of the first to solve local business marketing at scale. He played a large role leading their transition to a digital based company. David also played a large role in developing Local at AOL where he oversaw their vertical properties and MapQuest. His experience also includes COO of AMFM, with 675 local radio stations sold to Clear Channel; and CEO of Internet Broadcasting, a SaaS platform owned by Hearst, Post Newsweek, McGraw Hill and CNN. David is an important addition as Acquisio continues to grow its market share and expand its data-driven marketing platform of solutions aimed at SMBs. He will provide strategic guidance alongside other expert members of the board like Mark Roberge, former CRO and current advisor to HubSpot, and the current Chair Alexander Blum, former Vice President of Product Marketing at AOL and CEO of KickApps prior to its acquisition by Piksel (formerly KITD). Also Read: When is Your Office Leaving Email Behind?